Deprecated function: The each() function is deprecated. This message will be suppressed on further calls in _menu_load_objects() (line 579 of /mnt/target03/362662/www.buycelebrityclothes.com/web/content/includes/menu.inc). Ever since Meghan Markle became the Duchess of Sussex, she can’t casually participate in some of her favorite pastimes, like eating garlic or wearing a dress without pantyhose or talking about women’s rights. Annoyingly, for her to partake in the few activities that she’s still allowed to do, she has to disguise her easily identifiable appearance. Luckily, she’s reportedly found one masterful trick that renders herself totally unrecognizable: wearing a hat. 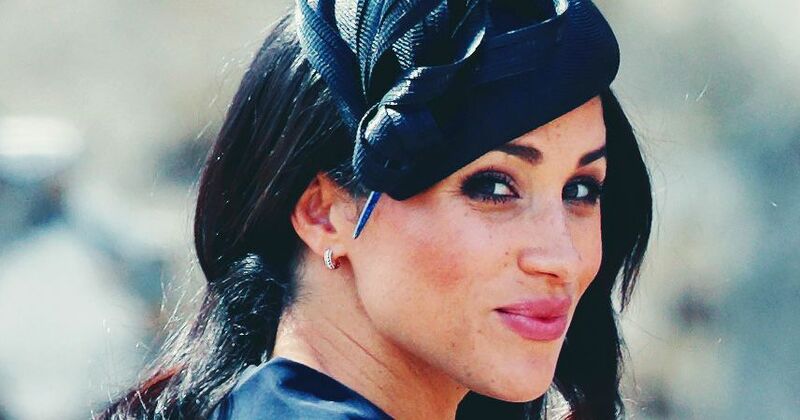 According to People, when Markle isn’t spending the weekend in the Cotswolds with her beloved Prince Harry, she likes to live the life of any posh 30-something, meaning she wants to tone her core and pick up her favorite foods (without garlic) at the fancy grocery store. But it’s not like she can just stroll into Whole Foods, looking like a royal — oh no. She has to disguise herself. Now that we know Markle’s preferred disguise, will Kensington Palace continue to maintain that the woman — who was wearing a baseball cap — who walked her dog outside of the palace earlier this week was not Markle? So incredibly enough, walking by -we spotted this beautiful, woman with a familiar air”outside the entrance to the private residence where Harry& Meghan live . MEGHAN!? her dog was doing his business. She couldn’t have been sweeter. © 2015-18 BuyCelebrityClothes.com All rights reserved.